An outstanding example of a Classic Northeast Duplex! 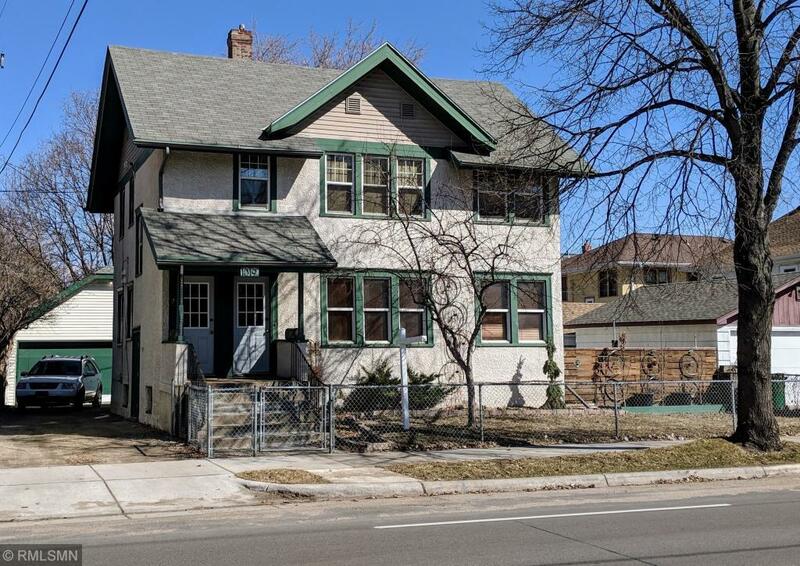 This well cared for owner occupied duplex in Northeast Minneapolis' Windom Park neighborhood offers classic original features of maple floors and yellow pine trim, nice mix of period style and smart updates, low maintenance stucco, and updated windows with aluminum wrapping. No monster icicles or chronic ice dams on this house – it’s been properly insulated. The unfinished basement has open storage and a workshop area, more storage in the large two car garage. The yard is fully fenced, has a paved patio area and raised garden beds including many perennials. Conveniently located near the Quarry Shopping Center – Target, Cub, Michaels and Home Depot and only a block from Sociable Cider Werks and Northeast Park, minutes from the NE Arts District, U of M or Downtown. Maximize your ROI with Airbnb for one or both units. Currently active Tier 1 Minneapolis Rental License for upper unit.